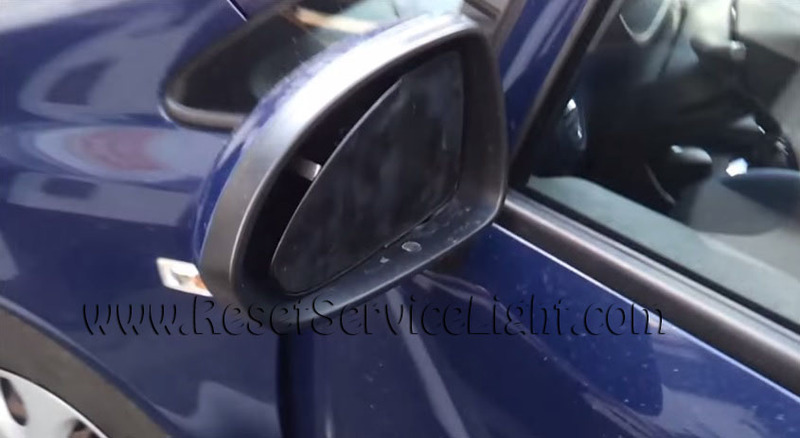 How to change a glass mirror on Chevy Viva made between 1998-2010. This procedure works on automatic mirrors and hand control, regardless of body type of Viva (hatchback, estate, cabriolet etc.). To take out the glass from the mirror you must push it on inside one side see below image, so you can enter an object from the opposite side, through glass and housing to push it to the outside. See below picture, in that image is not an Chevrolet Viva, is another car but the principle is the same. Below you have a real image in what stays trapped the complete mirror from the glass on your Chevrolet Viva. If you want to take out the glass by yourself you must war gloves to protect your hand because the mirror may break when a pull it out. If your car have another another fastening system just write us a comment and i will answer you. 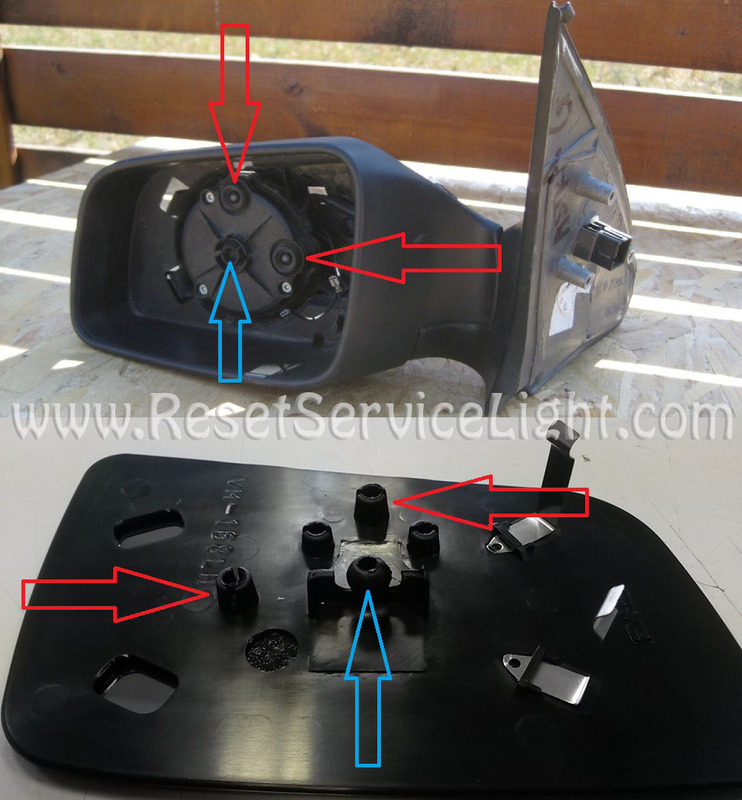 Red and blue arrows indicate the mechanism in what the glass stay fix from the mirror. This procedure is valid in Europe but also on other continents for cars with left and right hand drive you can find them under the name of Chevrolet Viva and for right hand drive Vauxhall Fourth Generation, Saturn Astra, Chevrolet Viva and Holden Astra. If you have another car and want to know how to remove your mirror just leave us a comment and our mechanic will answer you.